Khalfan, named the Africa Business Leader of the Year 2013 by the Corporate Council of Africa is chief executive officer of Puku LLC and innovator behind the Puku S8, inspired after Hurricane Sandy kept him hostage in New York City. He talks to Y! 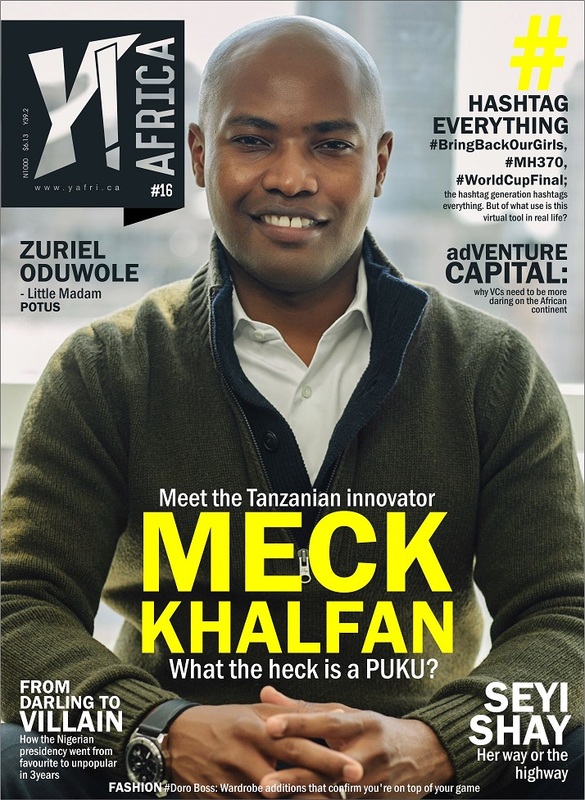 Africa about his invention, the inspiration and how he sees the future of business in his home country Tanzania and across Africa. Seyi Shay is one of Nigeria’s fastest rising singers who traced her journey from a group founded by Beyonce’s father to being spotted by Sound Sultan, groomed by Cecil Hammond, and finally setting out on her own in a male-dominated environment. Khalfan was photographed in New York by Ada Emihe, and Seyi Shay was photographed in Lagos by TCD. 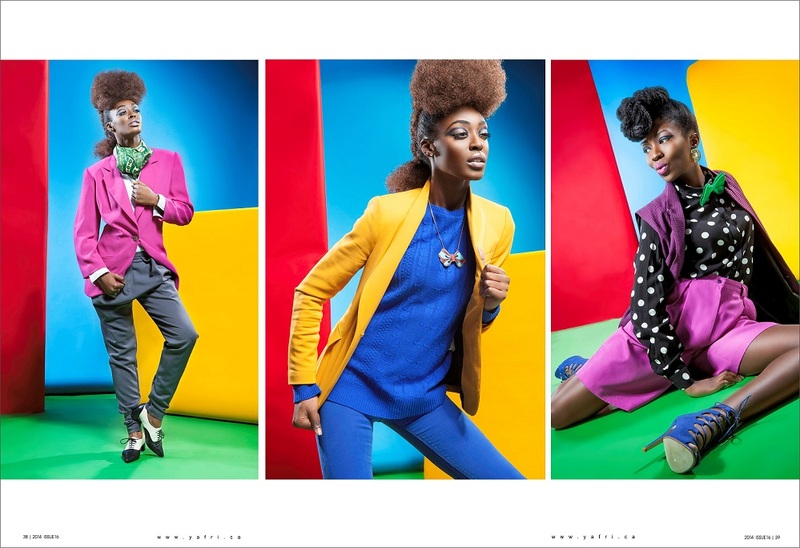 The issue also features an interrogation of the hashtag generation, a contemplation of the Goodluck Jonathan legacy all wrapped up with high fashion, event photos and an interview with 10-year-old global ambassador, Zuriel Oduwole, amongst others. Y! Africa is available in stores and from vendors across Nigeria, and is also distributed in Ghana, Rwanda and South Africa. 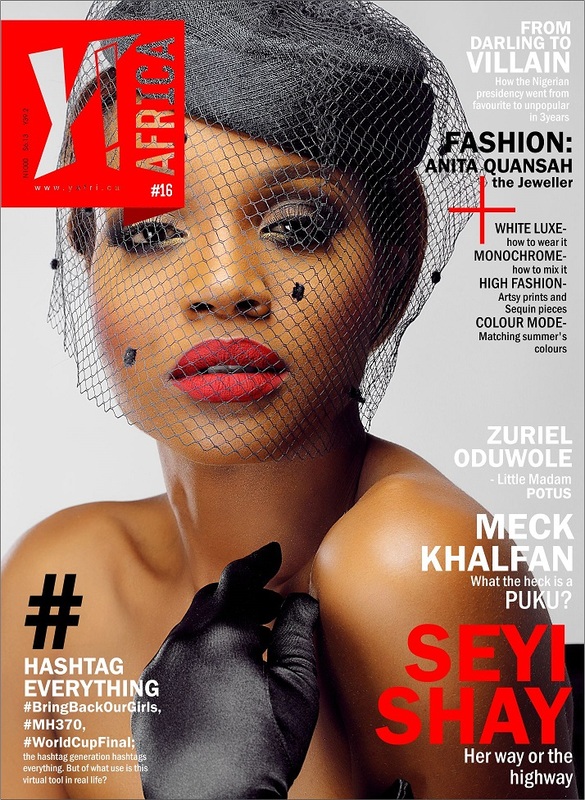 In Nigeria, you can also pay for the magazine with your mobile phone or online at Okada Books www.okadabooks.com andexodusestore.com http://www.exodusestore.com and have it delivered to any part of the country (click on magazine, click on the Y! Africa logo and place your order).